As our website name eludes to, we work hard toward putting ourselves in a position where we are completely self sufficient. For regular readers of this site, I know you all have heard me say that a billion times already. I’m sorry about that! 🙂 Anyway, of our self sufficiency efforts, fruit trees are a valuable (and enjoyable) piece because they provide food, medicine (peach tree leaves can be used as mild histamine blocker) and a source for making cider and vinegar that have a whole other separate list of uses. Making vinegar is not very hard, as a jar of raw apple cider will eventually turn on its own, but it takes considerable time. A “Mother” makes it much more expedient and once you have one in your possession, so to speak, you step into a new level of self sufficiency. Several years ago we made apple cider with apples from our trees and set some of it aside to “turn”. With the help from naturally occurring yeasts and other goodies present on UNWASHED and untreated fruit skins, it did eventually turn and then started developing a “Mother”. Along the same time we attempted our completely from scratch mother, I began experimenting with using Bragg’s vinegar (with traces of the mother) to make another mother. Even though I depended on the store and ultimately someone else to start my mother made with Bragg’s, once you’ve done it, it becomes a renewable resource. A few weeks ago I started another batch so I could document the process for others interested in doing it. It’s ridiculously simple and very similar to starting a Kombucha scoby (scoby = symbiotic culture of bacteria & yeast). A vinegar mother is technically a scoby too as she is formed of the same stuff; good bacteria and yeast. The fully formed “Mother” is actually a rather disgusting looking thing and looks more like something you ought to throw away and wash your hands after touching it. It’s slimy on the bottom and rubber-like on the top, almost Jelly-Fish looking. This is a portion of the one we made totally from scratch. I divided her up to play around with a batch of blackberry wine vinegar. Start with equal portions of Bragg’s Vinegar and un-treated apple cider or plain apple juice. 1 cup of each fits nicely into a quart size mason jar. *Make sure what you use hasn’t been treated with preservatives or potassium sorbate which is used to stop fermentation in wines and ciders and will put a screeching halt to your “mother” making. Cover the jar with cloth and a rubber band to keep critters out but let air in, and label it. You can also use a large coffee filter, butter muslin or cheesecloth. 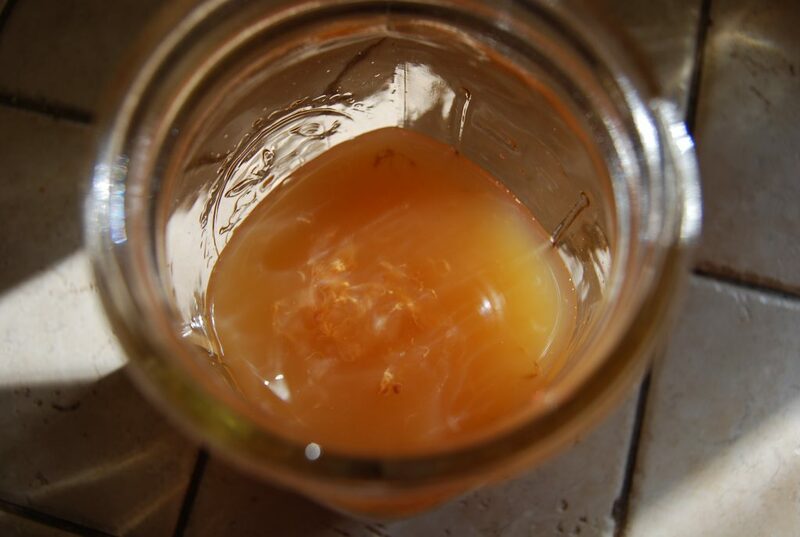 If you use cheesecloth, be sure to use multiple layers and only do it when there is no risk of fruit flies being around because they WILL find a way in through cheesecloth. You can also use an airlock like this one; (3 Piece Econo-Lock with Carboy Bung (Set of 2) ) to be totally sure no contaminants get in. It’s a good option if you discover you have repeated problems with mold. You’ll just need to have a lidded jar that you can cut a hole in to insert the airlock and stopper. Store the jar in a dark place. Room temperature is fine, nothing fancy. After just a couple of weeks you’ll be able to see a little bit of the mother coming together. 4. After the mother is formed and growing and your juice has started turning to vinegar (you’ll know this by smell and by giving it a taste test), you can carefully feed your forming Mother more juice or cider to keep her growing. Add it at room temperature and in small increments (a cup at a time) Be sure to add it gently. 5. Once you have enough to suit you, let it sit (with the mother) to age for about 6 months. She’ll get better with time also. Once it has aged, you have a couple of options. You can either remove all the vinegar and bottle it to use while you start a new batch with the fully developed mother and some cider or wine, or you can leave everything together and take a little vinegar out as you need it. The longer it ages the better it tastes, so there’s really no rush, but as you can see from the age time, starting a new batch as soon as the last has finished aging makes sense from a timing standpoint. As mentioned above with the airlock, one thing to keep an eye on is mold. I have only had this problem once and couldn’t pinpoint having done anything different from previous successful batches. 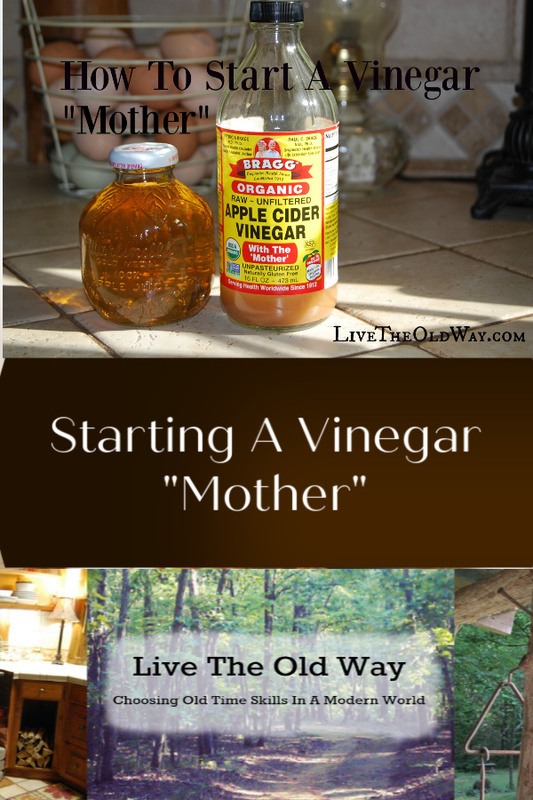 If you detect mold growing on the surface of your vinegar to-be, toss it out, mother and everything, and start over. Washing all utensils and containers is very important, but avoid using anti-bacterial soap. It’s also helpful to “rinse” your equipment with regular white vinegar after washing to rinse away and neutralize any soap residue. How quickly or slowly your mother forms can vary depending on a number of things, but count on giving it at least a couple of months just to get going and a few more before she gets really solid. 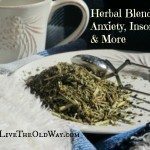 It’s pretty straightforward if you don’t mind the vague wait time, and once you have her you have access to an endless supply of one of the most diversely beneficial tonics on the planet. You can also be confident it’s completely natural because YOU made it. 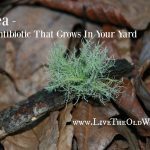 We use vinegar for cooking, seasoning greens, making nourishing herbal vinegars, as an anti-bacterial (internal or topical), as a body odor neutralizer, and on poison ivy rashes and sunburns. Plus, if you grow your own apple trees you might not ever need to utilize outside sources for vinegar ever again! That’s what I’m talkin’ about! Yay, glad you found us again! 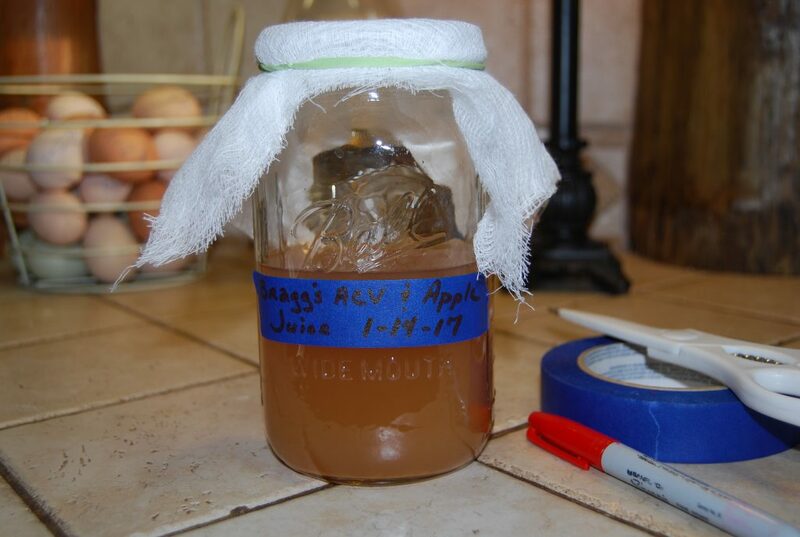 If you are using some Braggs for a “starter” then you can absolutely use frozen or canned apple juice! Wow, I did not know this. 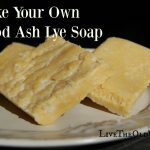 Thank you for sharing this information at Dishing it and Digging it link party. We love having you.